Spacelabs Healthcare designs and manufactures acute care patient monitoring, diagnostic cardiology, and clinical networking solutions for use in hospitals, medical clinics, and physician offices. We provide patient monitoring solutions for critical, sub‑acute, and perioperative care areas of the hospital, providing caregivers with timely patient information. 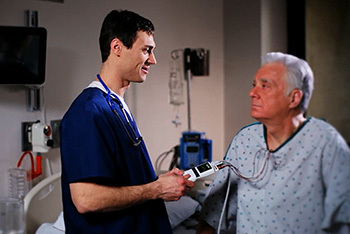 Our diagnostic cardiology systems include Holter recorders and analyzers, ambulatory blood pressure monitors, electrocardiography (ECG) devices, stress event data management systems and related software and services. Spacelabs Healthcare is a subsidiary of OSI Systems, Inc.
Spacelabs offers a broad portfolio of innovative patient monitoring solutions to support better clinical decisions and improve patient care. 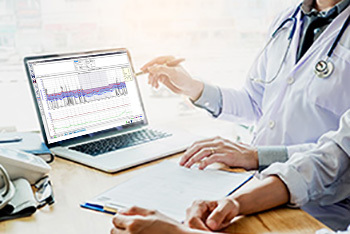 Advanced monitors and connectivity solutions provide immediate access to patient data when and where you need it. Spacelabs’ suite of powerful clinical tools help caregivers optimize care and efficiency. Spacelabs Healthcare’s rich history of innovation began nearly a half century ago with the development of Holter monitoring and analysis. Combined with pioneering work in ambulatory blood pressure (ABP) monitoring and extensive cardiology data management capabilities, Spacelabs has developed a complete range of non-invasive diagnostic cardiology solutions. This year marks the 60th anniversary of a pioneering medical telemetry company that helped enable the first American spacewalk and the historic Apollo 11 lunar landing. Learn more about the history of Spacelabs Healthcare.